RobVogt80s: “Into Darkness”: conjuring the memory of "Square Pegs"
“Into Darkness”: conjuring the memory of "Square Pegs"
Merritt Butrick as Johnny Slash in "Square Pegs". It’s a windy path from the last "Star Trek" movie to that short-lived 1980s sitcom “Square Pegs”, but here it is. of "Star Trek: The Next Generation". 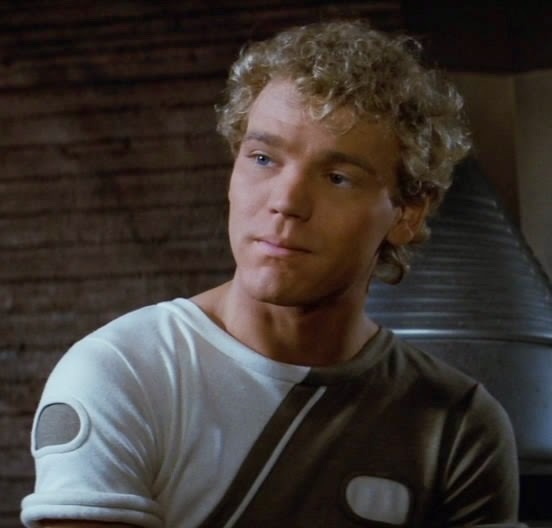 David Marcus was played by Merritt Butrick, whose other prominent role of the period was none other than Johnny Slash on "Square Pegs". And of course “Into the Darkness” re-imagines Kirk and the Enterprise’s first encounter with Khan. "The Wrath of Khan" would become one of the best "Star Trek" movies of all time, while "Square Pegs" was cancelled after one season. 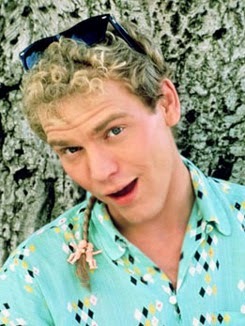 Sadly, the linchpin of our two degrees of separation – Merritt Butrick – would die of an AIDS-related illness in 1989 at the age of 29. 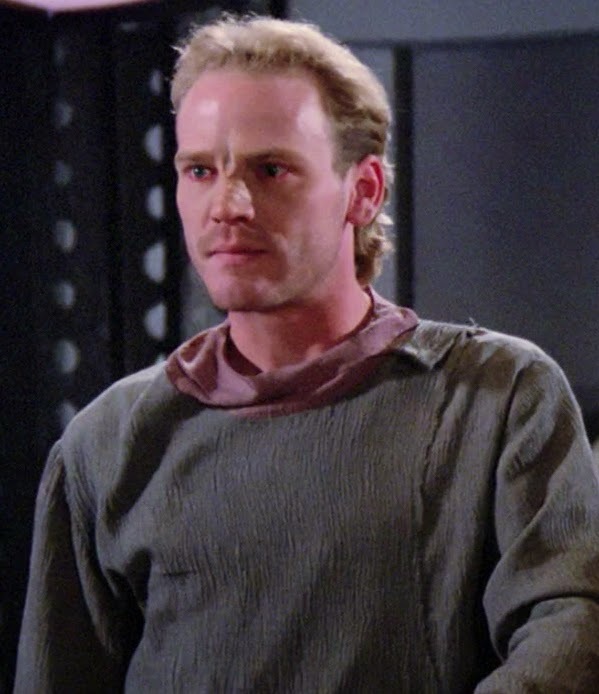 Before that, he became just one of a handful of actors to appear in the "Star Trek" movies and the "Star Trek: The Next Generation" TV series.